Elon Musk chooses the red pill. In an interview with MIT researcher Lex Fridman, Tesla and SpaceX CEO Elon Musk reiterated his belief that we’re all living inside a simulation. 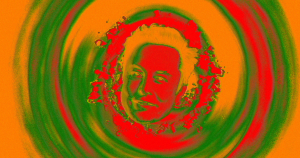 For Musk, human reality amounts to a computer simulation created by greater forces — the extent to which he actually prescribes to this theory is hard to tell. But he has voiced concern about all-powerful AI. He has even argued that AI is “far more dangerous than nukes” at a different tech conference in 2018.